Sudden intense jaw pain that wakes you in the middle of the night could be caused by a heart attack. The more risk factors that you have for a heart attack, the more likely that sudden jaw pain as your only symptom – be it overnight or in the middle of the day – is coming from your heart. However, heart problems aren’t the most likely cause of this symptom. Usually, a heart attack comes with at least two symptoms, often three, such as breaking out into a sweat, feeling weak and short of breath, and having sudden chest discomfort like a crushing sensation. “Yes, sudden intense jaw pain can be the only cardiac symptom in the middle of the night,” says Dr. Lowell Steen, MD, Interventional Cardiologist at Loyola University Medical Center, Director of the Interventional Cardiology Fellowship Training Program, and Medical Advisor to 120/Life, a functional beverage with a blend of six natural ingredients that promote normal blood pressure. “However, my experience is most patients with this type of presentation (meaning awakening from sleep) is gastrointestinal,” continues Dr. Steen. “As the heart has no pain fibers, its pain is referred often to the jaw. However, an esophageal spasm or acid reflux can do the same thing. A diffuse esophageal spasm can come on suddenly at any time, and if it does in the middle of the night, this can be frightening because it could feel like a heart attack. During a diffuse esophageal spasm, the contractions are uncoordinated, and the cause is not clear. But suspects include very hot or very cold foods/beverages. Chest pain is the most common symptom, but it can radiate to the shoulder or jaw and be intense. The sufferer may also notice pain when swallowing during an acute episode. Diffuse esophageal spasm is usually only a mild condition that, once diagnosed, will put the patient at ease that its associated pains are not heart related. But just to be sure that you don’t also have a heart problem by shear coincidence, you should see a cardiologist. If jaw pain is accompanied by difficulty or pain opening the mouth, a clicking sound when doing so, and/or ear pain, you’ll want to see your dentist to check for a TMJ disorder. Can a Heart Attack Cause Only One Symptom: Chest Tightness ? 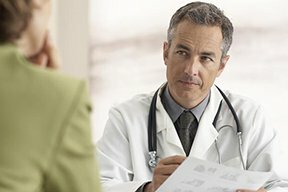 Can Chest Pain Be Caused by IBS?